I sat in the second row from the front at the Leaders Alive conference, my heart crying out to God for answers. “Talk to me, God!” I prayed. “I need to hear from You!” I was struggling with acute loneliness where God had placed our family. Even though I loved our small town, I had been unprepared for the culture shock of moving out of our Anabaptist community. My friends from my old community seemed to sail on through life as always, getting together and enjoying each other and not worrying too much about the upside-down world outside. I was desperately longing for another family or two to come to our town to recreate some sense of familiarity for me. But it wasn’t happening. Will and I had never felt called to plant a church; rather, we felt called to simply move into the community and become part of life here, listening to people and spreading God’s loving presence. God’s church in Medicine Lodge was already present. Still, I wanted the comfort of people like me to partner with us in this town. My soul was at a breaking point; thus my desperate prayers to God for answers at this conference in Indiana. At the end of the final service, Will and I went with a bunch of others to the front of the church and knelt at the altar to pray. After a bit, I realized that someone was behind me praying for us. This gentleman whom I had never met before prayed, and then sat and talked to us. Before I knew it, tears were streaming down my face as I spoke of what was on my heart. This gentleman (who I discovered later was Dwayne Sensenig from Arrows of Truth Ministry) then gave me the words I didn’t want to hear. My spirit resonated with his words, but my heart sank. I did not want to go back all alone into my town! I wanted people who knew and understood my Anabaptist culture. Still, in the following months, those words never left me. I felt a subtle but definite shift in my heart. The four years I’ve lived in this town have been a steady whittling away of my pride, and this prophecy contributed to that painful pruning. Growing up in a tight-knit culture that surrounded me with so many warm memories, I had this underlying belief that it was the best church group possible. That no other denomination was quite as good or as spiritual. I would be lying to say that I don’t still think this sometimes. But I also am realizing that I’m partial to what I’m accustomed to. I thought the Anabaptists followed the Bible better than everyone else because I noticed the aspects that they’re especially good at. For instance, spirituality is a normal and celebrated part of life for Anabaptists in contrast to what felt to me like a shallow spirituality in so many others. Even though I criticized the denomination freely, I still saw them as superior. Their shortcomings didn’t seem as important as their strengths. This is such a twisted and prideful way of thinking. I’m discovering, as I interact with Christians with other denominations, that I have so much to learn from others. So much, and I have been too arrogant to know it. What I thought was purity in the church was an exclusivity that God never wanted for His followers. The pride has been very hard for me to acknowledge. Realizing these things has broken my heart to the extent that any good that I see in any group feels worth cherishing. I’ve had to give up the desire for others to know and acknowledge the unique good in my birth culture. Strangely, the more I see the chinks in my birth culture and shed my pride, the more accepting I also feel of it. I’m less inclined to criticize Anabaptism if it is not the utopia of Christianity. 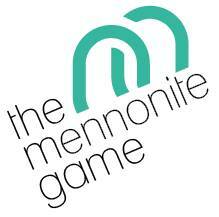 I see Mennonite groups as being part of a much bigger picture–all the different denominations give us bits and pieces of what God is like. Not so much is at stake if one denomination isn’t the sole carrier of truth. I hope to make my heritage an important part of what I pass on to my children, but it is only a part. Our move to this town has been a massive training ground for me. If I have blessed people, it is of God, not of my own effort. He has taught me the importance of truly listening to people, of seeing His body at work in multiple settings, of treasuring the good without comparing to what I think is better. And what has been the result? I am finding a network of support in the most surprising ways and places. Sometimes I still feel achingly lonely, yes, but I know that I am not actually alone. I talk with an unbeliever on my street and discover that her heart longings are not so different from mine. I’m surprised and deeply blessed by an impromptu communion service at work. I watch a single mom parent her kids, and learn from her tenacity and unselfishness. Over and over, I am humbled. Rarely a week goes by that I do not think of those prophetic words that I didn’t want to hear; the words that sliced through another layer of my pride and released me to see the good around me. I have found it true: God’s church is here, and it has blessed me more than I can express. I am loved and supported right here in my town by the people in my town in ways that I don’t deserve. God is at work here and now. 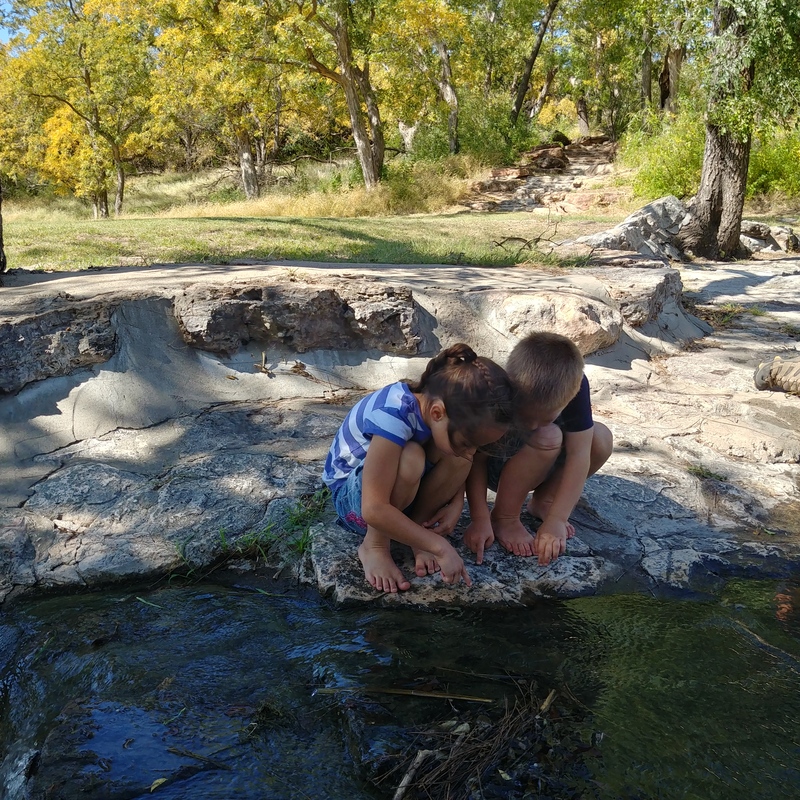 Children look for the good right where they are. How have words from others changed you, even when you didn’t want to hear them? Dear Rosina, you are such a sweet human being! And of course you felt lonely. There is much to be admired in Anabaptist culture: their emphasis on family and community, as well as the intertwining of their faith into their lives. But, as you are finding, God’s church is wide and varied…as is HE! I am so glad things are improving for you. Treasure your background, but treasure the wider church you are discovering too! “Treasure your background, but treasure the wider church you are discovering too!” That is exactly what I want to do! Thank you dear friend! Good questions! 🙂 Maybe I should give one example of what I mean by “Anabaptist pride.” So far (and I do mean “so far” because I have not seen/experienced nearly every denomination) I have never heard another group promote “the Methodist way” or “the Assembly of God way” or the “First Christian Church way,” but the Anabaptists constantly talk about “the Anabaptist way.” Perhaps people don’t intend it to be so, but what happened to simply teaching the Bible way? The simple Gospel of Christ? I still look and talk and think and act like an Anabaptist; I know that will always be part of me. But God is pruning out what I thought I had to have to function in the world He has placed me in. It has been a very humbling experience, and in many ways I feel less “right” than I ever did before. The Kingdom of God is full of paradoxes, as you said, and those we have thought wrong all along may be more aligned with God’s heart than we know, whether Anabaptist or not. The best I can do is to keep seeking Jesus and allowing Him to change me even when it is quite painful. I should add to my comment that I do not see Anabaptist people as proud individually. I know many humble and honest Anabaptists. But the group pride is very strong, so strong that it is almost impossible to break through. As I’ve interacted with various Christians and denominations, I’ve often mentally referred back to Streams of Living Water by Richard Foster. That book has helped me more quickly pinpoint the strengths of other denominations. I’d like to read that book! Thanks for commenting! As a post-Anabaptist growing up in a large Anabaptist community of varied denominations and returning to faith, I am very sympathetic with your viewpoint. Among the friends I grew up with who remain in these churches, I find a great pride in “Anabaptism” as the only saving grace to salvation. Their faith in Christ is filtered through the mask of Anabaptist worship which diminishes their personal spiritual lives and their spiritual outreach to the community. I find very little interest in Bible study or organized prayer groups. I will attend a church to add to the worship and praise of God and which follows (not worships) a doctrine with which I am comfortable. I applaud your gift of writing gently about subjects we feel but express poorly. I’m with you. I live in a town that has no other Anabaptist people, in fact there are none in the county. We drive 45 miles to church Sunday morning. It often seems I go to church and see everyone, get back in the van and go home. And repeat the next week. It can be lonely. I wish to see a church friend in town taking her children to the library, or picking up a gallon of milk at the store, just normal things. But God has called us to this town, to be a light here and so I will try to do so willingly. And yes, the Anabaptists do have things they are rather proud of. 🙂 Their housekeeping skills, their cooking and canning and baking. And, please let us not forget the furniture and quilts. The list could go on. To sum it all up, they are downright proud of their culture. Please understand, the culture is not bad and identifying with it is not bad, but crossing the line by thinking that we are better than other church cultures defeats the gospel of the Sermon on the Mount. I think the culture is a mix of pride and deep shame. Why? I don’t know, it’s something I keep mulling. But yes, there’s so much to love about our culture, too. The spirituality, family-centered living, knowledge of the Bible, and so much more. So much humility in your post. Thanks for being real!